Des Plaines is truly about location, location location! Located approximately 17 miles northwest of the Chicago Loop, Des Plaines is a perfect home base for anyone needing to commute to Chicago. If you prefer to take the train, the Des Plaines Metra can get you into the city in about 20-30 minutes. If your job requires a lot of air travel, you’re in luck as Des Plaines is truly a 10 minute drive. Des Plaines has a combination of houses that have old world charm and beautiful new high rises. Families come for the schools and park districts and single professionals enjoys the proximity the city and O’Hare Airport. Single family homes in Des Plaines start at $150,000 making it a very affordable place to live with excellent schools and close to down town Chicago. Looking for a home in Des Plaines? 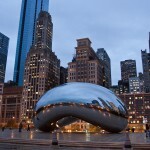 Interested in finding homes for sale in Des Plaines, IL? Click here find all the currently available homes in this area of Cook County. Many of the homes in Des Plaines were well build in the 1960’s and the neighborhoods are lovely with tree lined streets. There is a wide variety of housing that you can get in Des Plaines, ranging from brand new condos, houses constructed in the 1960’s to million dollar homes. 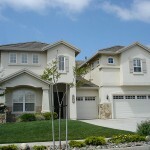 Typically, houses range between 1500-3000 square feet. However, you can get a whole lot of square footage (I’m talking around 7000 sq. ft.) if you are searching for a house starting around $800K. Most houses between $500-$600k will get you around 3000 sq. ft. If you are looking for a condo, you are in luck as Des Plaines has many condo developments to offer. You can even get into many condos for under $100K. Due to the wide range of living options, acreage, floor plans and amenities vary throughout Des Plaines. What’s Going on Nearby the Des Plaines, IL? The downtown shopping district of Des Plaines, Metropolitan Square, is anchored by a new 40,000-square-foot Shop and Save grocery store and includes an additional 56,000 square feet of retail space, 22,000 square feet of office space, and 135 condominium and loft units situated on automobile / pedestrian lanes and walkways in a main-street setting. 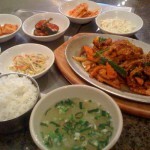 Des Plaines offers a variety restaurants expanding the globe with Korean, Thai, Mexican, Japanese, Italian, Indian, Greek, Vietnamese and good ole’ fashioned American. Two park districts and the Cook County Forest Preserve a responsible for approximately 700 acres of parks and open space within Des Plaines. Anyone looking for recreation will find miniature golf, fitness centers, bike and hiking paths, 18-hole golf courses and horseback riding trails. 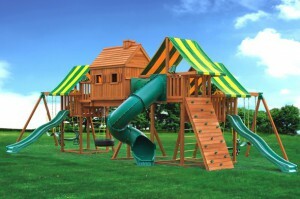 It also includes Mystic Waters Family Aquatic park featuring two exciting 37 foot slides, lazy river, and leisure pool. 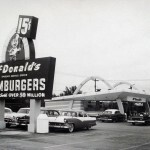 And, of course, Des Plaines is the location of McDonald’s first store. Ray Kroc first opened for business there on April 15, 1955 Eventually it was remodeled however, in 1984, the year Kroc died, Store #1 was demolished and then completely rebuilt in 1985 to look just as it did in 1955. Now it stands as McDonald’s museum and #1 store. Des Plaines school districts have been given several distinctive awards and are known for innovation. Right? Des Plaines is a great place! If you are interested in the current homes for sale in Des Plaines, IL click here.